Starting in 2014 The Royal Mint have decided to release a lunar coin. The Perth Mint already have a lunar coin series which is incredibly popular. The Royal Mint intend this to be the first coin in a series, and will release a different animal of the zodiac calendar each year. 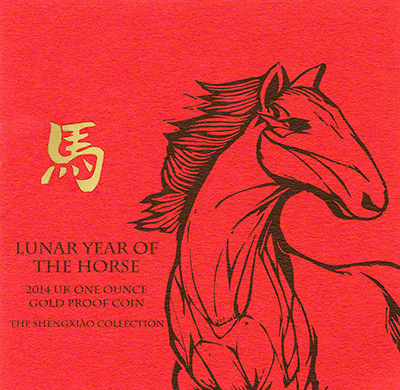 The starting animal in the calendar is the Year of the Rat, so it does seem strange that the Royal Mint have chosen to start the series midway through the lunar cycle. The Perth Mint, who are currently midway through their second series, started in 1996 with the year of the rat. 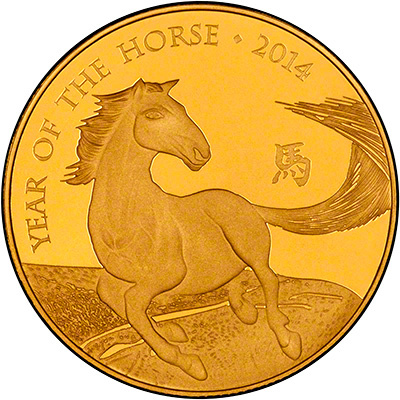 The Royal Mint have seen an increased market in China, particularly during the 2012 Olympics, which saw their Chinese sales surpass that of the domestic UK's. 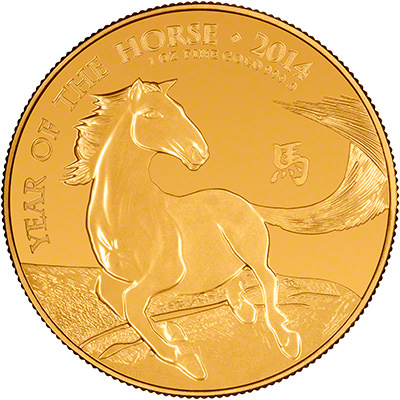 The obverse was designed by British Chinese artist Wuon-Gean Ho. Combining both British and Chinese heritage, it shows the Uffington horse which you may recognise as the chalk design that is carved into the Oxfordshire hills. After several enquiries, we have chosen to stock the one ounce bullion coin and received our first delivery on the 14th January 2014. 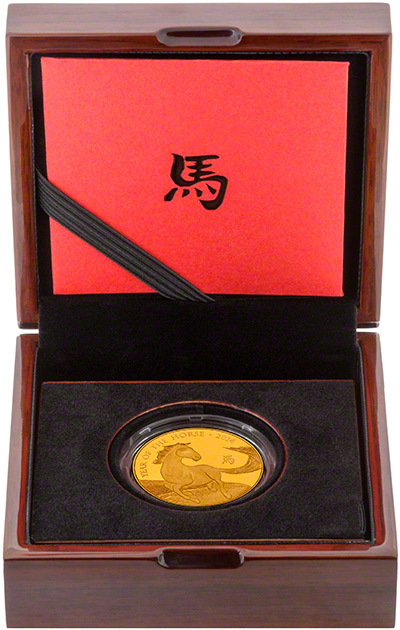 The proof version of this coin, whilst attractive, is limited to just 888, a seemingly strange number, but more than likely chosen as a weak link to being seen as a lucky number in China. Update: On 7th January - less than 24 hours after this page was created - we sold the proof version of the coin. If you wish to be added to our wishlist for this piece then please contact us, but we think it will be a while before we see another one! 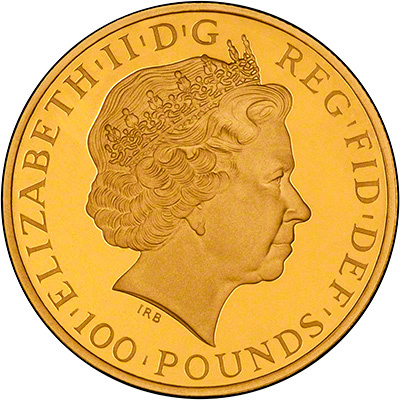 The Official Royal Mint video shows how the coin was created from sketch to the finished coin. Please be aware that this is a bullion coin and comes loose. 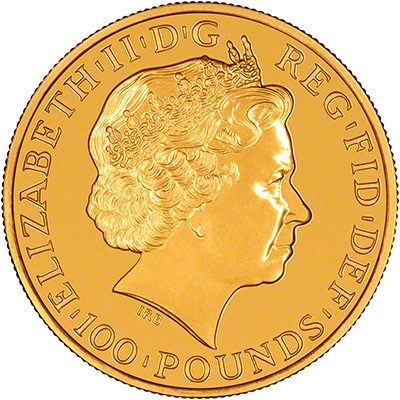 The bullion coin differs from the boxed proof version with the addition of the text "1 OZ FINE GOLD 999.9" on the reverse. When compared to the Royal Mint price of £1,950.00 you will make a saving of £450.00 per item when ordering from us.